Gone are the days where authors were considered distant, untouchable, borderline mythical creatures by their readers. Thanks to the rise of the online author platform, these days authors – especially indie authors – are interacting directly with readers more than ever before. Whether it's through social media, blogs or newsletters, there are plenty of ways to engage with your readership. But beyond the standard Facebook post or blog update, what are some new and interesting ways you can interact with fans of your work? Let's take a look at five fresh ideas. The introduction of Instagram Stories in 2016 opened up the platform to a whole new range of uses – many of which are directly interactive. If you're unfamiliar with the feature, Stories allow users to post photos and videos that disappear after 24 hours, in a separate location from the standard Instagram feed. These temporary posts can be adorned with text, GIFs, hashtags and interactive 'stickers'. So how can indie authors use Instagram Stories to interact with readers? Instagram rolled out a 'Questions' feature for Stories in July 2018. It involves adding a sticker to your Story that asks a question or provides a prompt to which followers can respond directly. This can be a fun way to host an author Q&A. Simply post a Story with a Questions sticker that invites your audience to respond with questions they'd like to ask. If you want to narrow down the potential questions you'll be asked, make sure to specify the kinds of questions you're looking for – ones about craft, upcoming books, your writing life etc. You can then view the responses from followers and tap each one you want to answer to create a new Story with the question and your response. Introduced in 2017, the 'Polls' feature enables users to post a Story with a 'Poll' sticker attached. The sticker can be customised with your question and choice of voting options, and followers can cast their votes and see real-time results. Indie authors can use this feature in any number of ways. Ask for your followers' input on anything from which of your latest book's characters is their favourite, to what sort of beverage you should have to accompany a writing session! See more options for seeking reader input in point 5 below. We covered vlogging in our post on content ideas for your author platform, but have you ever considered streaming a live video for your followers on social media? Both Facebook and Instagram offer live video options, giving you the opportunity to connect directly with your audience in real time. Facebook Live videos appear in the main newsfeed, allowing viewers to share their reactions (using the buttons for 'like', 'love', 'haha' etc.) and add comments as they watch. After the live stream ends, the video will be published to your page so that those who missed it can watch. Similarly, Instagram Live videos enable viewers to add live comments. Live videos appear in the same section as Stories above the regular Instagram feed. Like Stories, live videos on Instagram are ephemeral – once they've finished streaming, they disappear. However, you can share a replay of a live video directly to your Stories for those who might have missed it. So how can indie authors best use live video streaming to connect with readers? We've talked about why indie authors should use Goodreads, but we thought it was worth mentioning the site's 'Ask the Author' function again here. To feature an 'Ask the Author' box after your bio on your author page, make sure the switch in the corresponding section of your Author Dashboard is set to 'On'. You can also add a personal message to be displayed above the question box. Through this function, Goodreads users can submit their question and you can choose which ones you'd like to answer. Questions from readers will only be visible to you until you choose to answer them; all answered questions will then be displayed for anyone who visits your page to see. This function is a great way to engage with readers who want to know more about you and your work. Your Goodreads page is often one of the first places potential new readers will go to check you out, so they'll automatically feel they know you a little better after reading some of your responses. And don't worry – questions and answers can be marked with spoiler warnings, saving readers new to your work from having it spoiled! Another popular platform for indie author Q&As is Reddit, with its 'Ask Me Anything' (AMA) format. For those unfamiliar with Reddit, it's a forum/discussion-style site, made up of various 'subreddits' dedicated to pretty much any topic you can think of. A Reddit AMA is an opportunity for authors to open themselves up to questions from readers, answer them, and generate discussions. Questions can be 'upvoted' by users, and the posts with the most upvotes will give you a good indication of the things readers really want to know! As well as allowing you to chat directly with readers, an AMA brings readers together and sparks discussions between them, which is a great way to create a real community feel among your readers. To host an AMA, you'll first need to create a Reddit user account. Anyone can create an AMA thread at any time, but if you really want to do it right, contact one of the moderators of the subreddit you've chosen for your AMA. Chat with them about scheduling the AMA in advance. This has the advantage of placing you on the 'Upcoming AMAs' sidebar of the subreddit, which will generate additional interest in the time leading up to your AMA. Speaking of subreddits – it's important to make sure you choose the most appropriate one for your AMA. r/AMA and r/IAmA, as the names suggest, are general AMA subreddits; you can host yours here, but be aware that hundreds of others will be doing the same, and yours might not be seen here by the people you're targeting. A book-related subreddit like r/Books, or better yet, one specific to your genre (e.g. r/Fantasy), is a great choice for an indie author AMA. For any reader, being asked for their input by an author whose work they love is an exciting thing. We're not talking about book reviews here – that's a different side of the author/reader relationship. The kind of input we're talking about here isn't necessarily direct feedback on your books, but rather, other aspects of your author platform and brand. 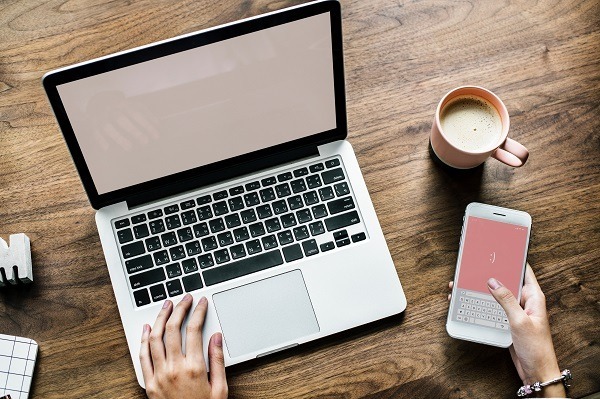 Reaching out to your readers to ask for their input through a poll, a social media post or an invitation to hit 'reply' on an issue of your author newsletter can help you connect with them on a new level. What they enjoy seeing most on your social channels – writerly or personal content? Photos of your pets or of your writing space? 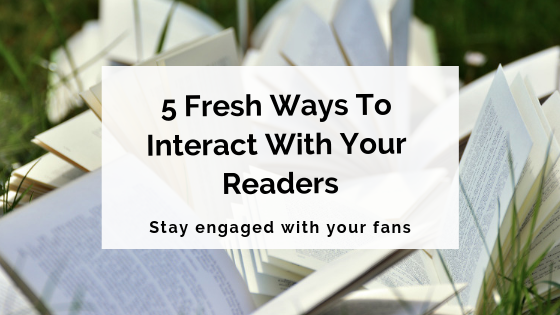 We hope this has given you some ideas on how to interact with your readers in fresh new ways! If you're looking for a way to involve a few dedicated readers even more directly with you and your books, why not check out our rundown of how to put together an indie author street team?